Want more? 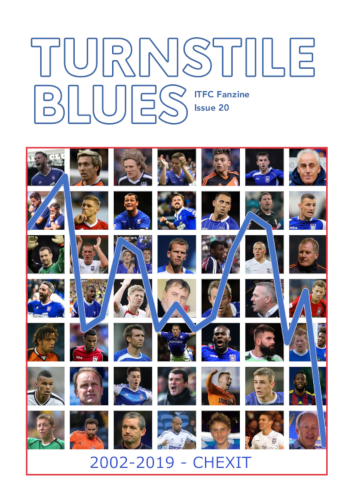 Subscribe to Turnstile Blues for £6 for three issues, including postage. Despite the removal of Ipswich Town’s manager “by mutual consent” earlier in the day (for a superb account of the Paul Jewell era at ITFC, please read Gavin Barber’s article here), local media were at the Supporters’ Club AGM in force last night, as if they suspected that the club’s representatives would be besieged by furious smock-wearing peasants brandishing obscure, pain-inducing agricultural implements and flaming torches. Reports that a Simon Clegg shaped Wicker Man had to be dismantled by stewards yesterday are thought to be exaggerated. In the end the meeting was low-key and friendly and although Town fans have a great deal to be concerned about, the Chief Executive must have left Portman Road last night with the comfortable feeling that he had gently nurdled the supporters’ long hops down to fine leg and safety. He mentioned cricket himself at one point and perhaps that’s more Simon Clegg’s game. A shame, then, that there was no equivalent of Michael Holding present at the AGM. The peasants were not revolting (for the most part anyway). Liz Edwards, who did a competent job of going through the formal business of the AGM quickly, repeatedly thanked the club’s representatives, Simon Clegg, Simon Milton and Bryan Klug. The latter two were hastily-arranged replacements for Chris Hutchings – now “caretaker manager” and club Captain, Carlos Edwards. When pressed on why no player was at the AGM, SC said that he had made the decision that Carlos should not attend as “football is a confidence game” and CH was in Blackburn watching our next opponents, Sheffield Wednesday. Liz Edwards said that there were very few clubs that would send representatives to a Supporters’ Club AGM amid such “turmoil” and expressed her gratitude that the trio had agreed to attend. She thanked ITFC for their continuing support for the Supporters’ Club and said that she was honoured to have accepted a position on the board of the PLC. She intended to use that position to “extend the ties between the club, supporters and the community.” She again thanked Simon Clegg. “I don’t speak for the fans,” she went on, ” but I do my best to try to put their views across.” Speaking emotionally about Town’s current situation at the bottom of the second tier of English football, she was highly critical of supporters who had sent back their season tickets or criticised the club while “hiding behind usernames” on social networking sites. She was also critical of the local media. She was not critical of the club’s owner or Chief Executive. I’m not going to dwell upon the administrative business of the AGM or the “election” of the committee members which was a formality, presumably because so few people are willing to put themselves forward to serve on the committee. What the media and most of the supporters who attended last night’s meeting were there for was the Q&A session with Simon Clegg and his colleagues. What follows is a very personal view of proceedings. It’s not intended to be a verbatim report but an impressionistic account of the meeting as one supporter and season ticket holder saw it. I’m sure I’ve omitted things and I may even have embroidered a bit but there is no intention on my part to mislead anyone. All questions were addressed to Simon Clegg unless indicated otherwise. Q. If you were writing your CV tomorrow, what would you say was your greatest achievement at ITFC? SC: We’ll be judged by what happens on the pitch. … I haven’t achieved what I set out to achieve… I’m ambitious as is Marcus… I believe I’m the person to do the strategic planning for the tough challenges ahead with Financial Fair Play (FFP) & the Elite Player Performance Plan (EPPP). Q. Would a technical football director be helpful to you given the lack of football experience in your background? Asked about academy policy, SC said that he and ME are “totally hands off” and would prefer to leave it to the manager and Bryan Klug but emphasised the importance of the academy to the club. SC: “We empower our manager” … it’s not the CE’s role to tell the manager who to pick. Q. Is Marcus Evans running ITFC as a football club or as a business? SC [this is the only occasion when he appeared to be quite combative]: “Football is a business. ” He went on to say that there were hard times ahead and that he would not take the club into administration. He was not prepared to allow the club to end up in a similar situation to Portsmouth. Q. ITFC’s bids for some players have been accepted by other clubs but those players haven’t signed – is that because their wage demands were too high? SC: “We’re not going to be held to ransom. …” Many of those stories were the result of “spinning” by the media. Some players might have used Town as a “stalking horse” to influence negotiations with other clubs with whom they then went on to sign. Q. Where did George Boyd go to then? SC: We’re not going to offer above our assessment of a player’s worth. Q. Does ITFC have a salary cap and, if so, where is it in relation to those of other clubs? Q: The club has a proud tradition of bringing through young talent, what assurances can you make that it will continue to bring youth through rather than buy players in? BK: said he was “pleasantly surprised” that the youth policy hadn’t gone. He wouldn’t have returned unless ME was committed to the academy and the production of young players. There are players coming through. There is competition with clubs like Norwich who “have put a lot of money into their academy” and Colchester, but he feels confident that ITFC will remain attractive to young players. Q [to BK]: Are you frustrated that the youth players are not in the first team? Q [to SC]: Football is a business. Could you describe the product you’re trying to sell to the supporters? SM: We’re trying to do what we did for 30 minutes last night, for 90 minutes… it’s frustrating. What you deliver [should be] top class – rooms, food, environment, the tour… but everyone comes for the football. 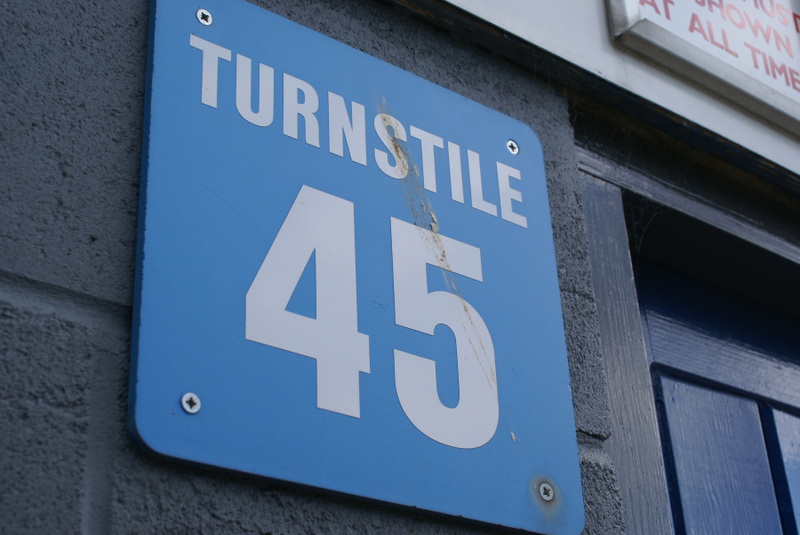 Supporter: Some people didn’t renew their season tickets, and it has been painful for them, but the club – unlike other businesses – has made no attempt to contact them, find out why, encourage them to return. SM said that the club did contact the corporate customers in such circumstances. SC: I’ll discuss it with John Ford [Ticket Office & Call Centre Manager]. I recognise it’s a big decision to cancel a season ticket. Q: Roy Keane had 20 months, Paul Jewell had 21 – how long do you have to get it right? SC: It’s up to the owner. Q: Why are there so many coaches? SC: At times like this we need more coaches. BK: The game has changed and it’s “compulsory” to have a certain number of support staff such as sports scientists. I would always try to find the best staff. Q: Do we get a new long-term strategy when a new manager is in place? SC: We don’t have a God-given right to stay in the Championship. We need to fight and back the manager. A supporter stood up and said that he and a group of friends had spent over £1,000 on the trip to the match v. Hull. At the end of the game, the players disappeared down the tunnel, only 2 remained to applaud the fans – one was Higginbotham. Q: A player should have been here tonight – they have some responsibility. They should be here to face us. SC: I take responsibility. I made the decision that it wouldn’t be in the team’s best interests for Saturday. SC: “You have to back your manager.” He does not want to interfere. Keane and Jewell both had records of taking clubs to the Premier League. Supporter: We need a young, hungry manager – maybe not a big name. SC: We now have 39 candidates on the short list. Q [for SM]: How do you find a new generation of “us” [i.e. fans]? Q: Who is making decisions on which youth players are kept on [example of Cody Cropper]? BK: There has to be a very good relationship between the academy coach and the manager. … We don’t have enough U21 players to make up a U21 side and so have to include older players like Ellington. … “Hopefully, looking forward, we’ll have a development group.” … Some young players have to play too frequently because we don’t have enough youth players at the club. Q: Why wasn’t Jewell sacked during the international break? SC: Hindsight’s a great thing, isn’t it? SM: We’ve had a succession of triallists. SC: This is an area of concern across all “high performance sport.” It’s ridiculous to attempt to stop players using such media – he said that he would encourage it, in fact, but try to educate young players about how to use it better. SC was asked about bringing in a loan keeper (Henderson) and whether it undermined other players. SC: I can’t be accountable – I back the manager. Q. Given the failure of the appointment of the last two managers, are you going to review the recruitment procedure and look again at the criteria used to select the manager? SC: It’s down to Marcus who’s putting money in and requires a return for his money. … He will be taking advice from different people this time. SM: There’s lots of success on the list of 39 candidates. SC: Fans only have half the picture and I like to think I have the whole picture…. We need to find someone who is passionate… who inspires confidence among players and coaching staff… who can work with Marcus… no point getting a manager who is asking for money every five minutes. … I’m not ruling anything out and not ruling anything in. … Most important to get the right person. Q. [on ME’s anonymity]: Do you think the evident divide between the club and the fans is because of that? SC [pointing to self]: This is the face that you’ve got. … We video-conference and I speak to him most days. … It is the way that it is. … There’s no point spending time on this because it’s not going to change. My general impression of the meeting was that there was a genuine attempt on the part of all three panel members to answer the supporters’ questions honestly. It was disappointing that, although Liz Edwards spoke about there being a list of questions sent in advance by people who couldn’t attend, none of those questions were read out. Any attempts to ask more searching questions about Marcus Evans’ motives in managing the club, his plans for ITFC’s future and – what to me is the most worrying aspect – the club’s dire financial situation were met with pat (and very repetitive) replies about ME’s investment in the club. A Supporters’ Club AGM may not be the best or most appropriate forum in which to ask such questions, but they need to be asked. In fact, I left Portman Road feeling a lot like the people I’d been listening to: frustrated. SC: Fans only have half the picture and I like to think I have the whole picture…. I.e “You lot don’t know anything, I pretend that I do”. Our next appointment by Evans/Clegg feels me with dread after Keane and Jewell. Hopefully our new ‘secret’ advisors and not mugs. I was surprised last night because he came across as more genuine than I’d expected, but my overwhelming impression was that he works for ME first, then ITFC. How long can a club drift without sinking? 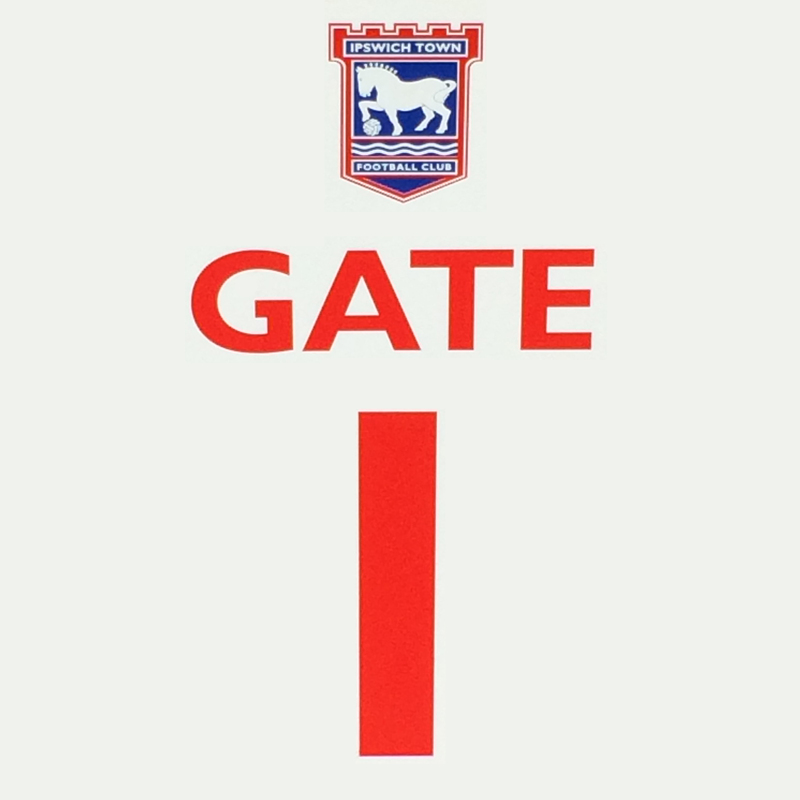 Who sent out an ITFC steward to try and move us on when selling Turnstile Blues today? Fair Play at the ITFC Academy? My club, right or wrong? Tyrone deserves his tributes but is he the exception rather than the rule? 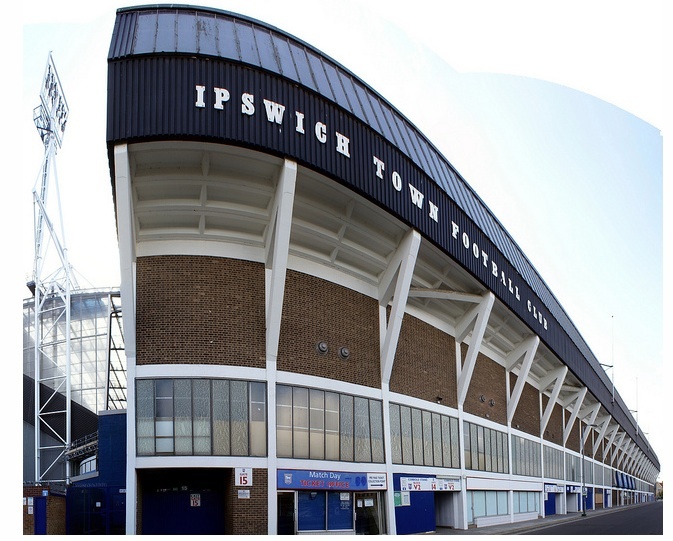 Ipswich Town in decline: but why?